Design shown is a one piece unit. The top is sealed with a fibrous mastic sealant. Steel reinforced with 10m Rebar and fiber. Two 100 X 150 partition flows through. 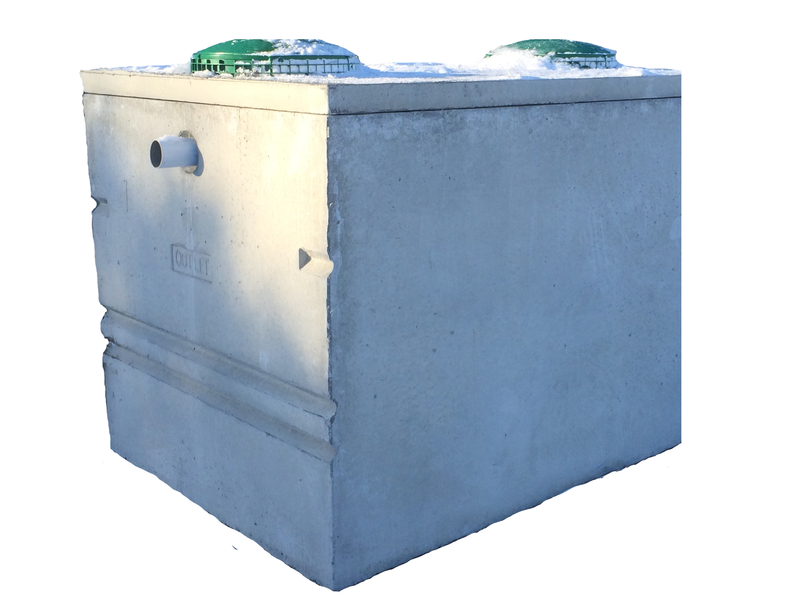 Concrete Inlet Baffle is pre-fitted to accommodate 3 100mm inlets. 100mm outlet fitted with filter that meets Ontario Building Code. specialty conformation may be possible.